Lizzie graduated under the Bachelor of Arts (Hons) in Music at Hong Kong Baptist University at 2016, of which her major instrument is cello and she majored in performance. She has received musical training since childhood at Yip’s Children’s Choral & Performing Arts Centre and the Hong Kong Academy of Performing Arts. She obtained LTCL in Cello performance. 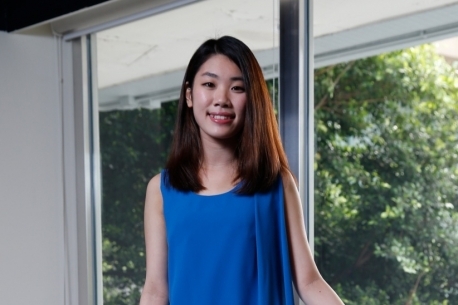 She has studied under the tutelage of Ms. Chen Yi-Chun and Ms Karey Ho. Experiencing in playing in different ensembles, Lizzie is keen on participating in orchestras. She is currently a freelance player at Pan Asia Symphony Orchestra, Opera Hong Kong Orchestra, Hong Kong Strings and Hong Kong Symphonia. She has been a member in the Hong Kong Federation of Women Six Arts Orchestra, Baptist University Symphony Orchestra, the Collegium Musicum. She had been on concert tour in the past, places including New York, Shenzhen, Zhuhai, Taishan, Zhongshan, etc. In 2014, she has travelled to the United States with the Collegium Musicum Hong Kong and performed at the Carnegie Hall. She has performed with renowned artists, including Valentina Lisitsa, Simone Lamsma, Colleen Lee, Zhang Hongyan, etc. In addition, Lizzie has been an active chamber musician and has participated in a variety of ensembles, covering western, Chinese, pop and contemporary music. She is frequently invited to perform at different occasions for solo or chamber playing.